After listening to the mayor’s budget address on Thursday, I had to wonder the last time elected officials had visited our schools to do some real fact-finding. In case a reminder is needed, our schools are barely schools anymore. Is it fair to send our children to schools where the student-to-counselor ratio is 1,200 to 1? Or where a school staff person balances insulin-shot injections, phone-call duties, and administrative filings because we’ve eliminated so many nurses, office staff, and assistant principals? How many of us can stomach hundreds of darkened libraries and shuttered computer centers, while we decry literacy rates and the “tech gap”? How long do we expect Northeast High to keep a nationally recognized science program running on fumes and charity? How many years will parents at some schools fork over as much as $600 to $700 per child to pay, not for fancy new sports fields or a glitzy auditorium, but for a secretary to answer the phone or for one extra day of a school nurse to serve children with diabetes and asthma? Masterman has lost 30 percent of its staff in three years. Children at Willard Elementary walk right by their new library, where hundreds of books collect dust because there are only 16 certified librarians in the entire district (two of whom are being privately funded this year). Two high schools in the city failed to give their juniors a shot at thousands of dollars in scholarships because they could not administer the PSAT test. And some schools are sending notices to colleges thattheir seniors may not have recommendation letters because there are too few counselors to write them. Although it’s true that struggle is nothing new to our public schools, this level of utter deprivation is unlike anything we have seen. 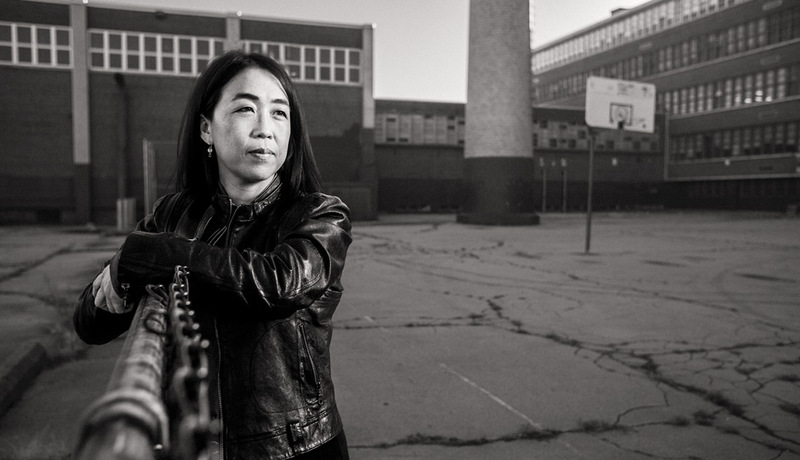 From the Northeast to South Philadelphia, from high-achieving magnets to small neighborhood elementaries, nearly every public school is a shell of its former (in some cases, already inadequate) self. Charters will feel the brunt when they face a significant drop in funding next year. Meanwhile, 30 school closings during this mayor’s term means whole swaths of the city are education deserts without a single public school in their boundaries. Against this backdrop, the mayor’s budget not only fails to provide solutions through this crisis, it exemplifies the lack of political will and strategy that has left schools bereft of resources and families disgusted and angered with their leadership. Education is the number-one voter issue in the state of Pennsylvania and arguably in the city. Yet this is the second year in a row that the mayor’s budget has failed to address known financial needs of the District. Education isn’t even mentioned in this year’s speech highlights. Though Superintendent William Hite is uniformly praised among political leaders, it’s amazing how quickly those same leaders turn their backs on him when it comes to funding the agenda they’re so happy to laud. The mayor largely rebuffed his own superintendent’s request for an additional $75 million and only committed to half of the $120 million that had been promised last year. Instead, he called upon Harrisburg to pass last year’s plan for a cigarette tax. It’s baffling why the mayor would bank the future of 200,000 Philadelphia schoolchildren on money that he did not have the political capital to deliver the first time around. Our children, our schools, and the continued growth of our city cannot afford another budget cycle of the same dead-end ideas and lack of leadership. The governor’s budget put zero new dollars into the District’s core operating funds. A projected $52 million will be split between pension contributions and new initiatives through a block grant (though the District can and should apply for a waiver to use money toward more flexible purposes). The District has $2.4 billion in expected revenue with about $2.6 billion in projected expenses at current staffing levels – in other words, it needs about $200 million more just to tread water. The District’s request to the city for last year’s $120 million plus an additional $75 million will do little to alleviate this year’s current state of misery – insufficient teachers, counselors and school staff; split grades; and denial of special needs, language, remedial, and gifted services. Only money above the amount requested will begin to improve the actual realities of our children. Anything less will result in more cutbacks. Of course, the primary blame falls on the state of Pennsylvania and Gov. 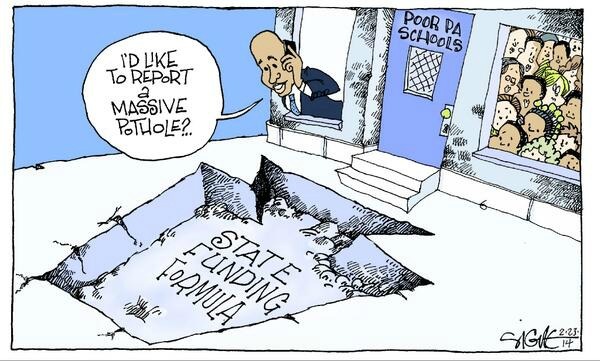 Corbett’s shameful efforts to dismantle public education statewide. But it’s important for all Philadelphians to know that although our problems are severe, they are not unique. Plenty of other districts are taking hits to their schools. Municipalities across the state are finding ways to fund their schools, not leave them behind. If Tom Corbett won’t stand up for our children and schools, city leaders must. We invite the mayor, City Council, and members of the Philadelphia delegation to join us in touring our schools and having meaningful conversations with the staff and families there. Budgets should not only balance the numbers. They should meet the real needs of children, families and staff. As it stands, the governor and the mayor perpetuate a paradigm of inequity and deprivation that not only hurts children. It damages the vision of a Philadelphia that we know must do better.